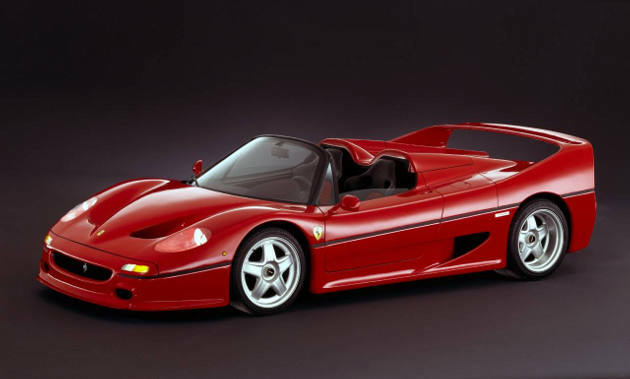 A Ferrari F50 is no more and a couple of Feds are in some serious trouble. No, this isn&apos;t the plot of some upcoming Martin Lawrence movie, this is real life! According to The Detroit News, the Ferrari in question was reported stolen from a dealership in Rosemont, Pennsylvania, way back in 2003. After filing a claim with insurer Motors Insurance Corp (MIC), the down and out dealer collected a check for $750,000, the value of the F50. Rightly pissed, Motors Insurance Corp hit up the FBI and U.S. Department of Justice, asking for their $750,000, a request both organizations struck down, citing that the car was detained by the FBI at the time of the crash, therefore making it exempt to any claims. MIC wasn&apos;t having it. Utilizing the Freedom of Information Act, the insurance company went after documents pertaining to the storage, handling, and transport of the Italian supercar, pretty much all of which were denied under the guise of "official business." They did, however, manage to get an e-mail stating that on the day of the accident, U.S. Assistant Attorney J. Hamilton Thompson rode with Special Agent Frederick C. Kingston. Shortly after leaving the FBI storage facility, the vehicle fishtailed and slid sideways. That sounds like responsible driving, does it not? A full lawsuit is now in effect, with the FBI and U.S. Department of Justice under serious fire. Who wants to bet we never hear about this, or MIC again?